Eight years is an awfully long time for a vehicle to sit on the market largely unchanged, let alone in a segment as competitive as the premium midsize crossover. Yet doing so hasn’t seemed to hamper the Audi Q5, with the brand selling more than 1.8 million units since it launched in 2008. With the list of strong entries growing at a rapid pace, Audi is ready to cement itself at the top of the pile with a new version of the Q5 that builds on what its predecessor did well with a few key additions. 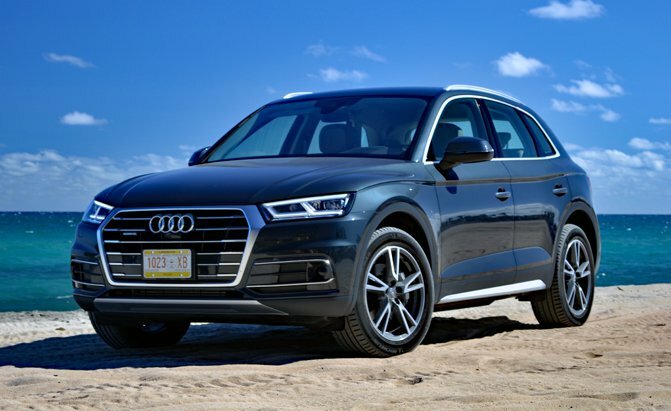 And with the market launch of the 2018 Q5 just around the corner, here’s what you need to know. Yes, the 2018 Q5 is all-new, with virtually every body panel swapped out, but you wouldn’t know by looking at it. 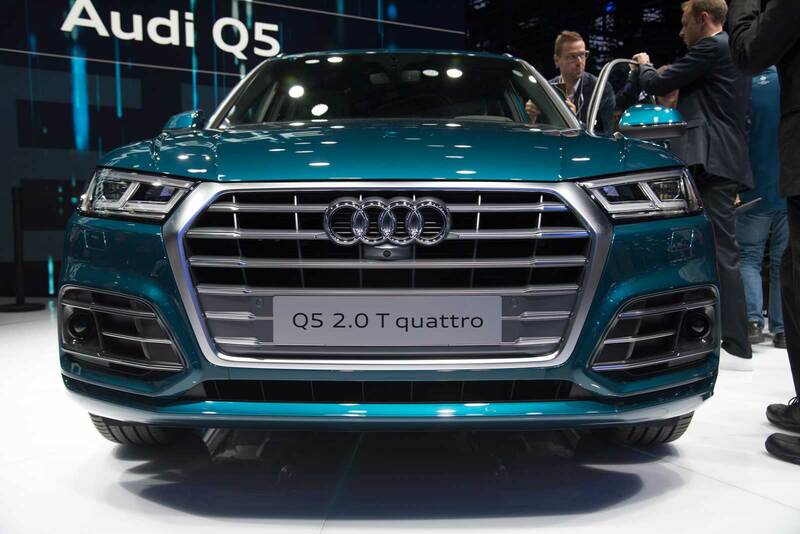 The grille appears to have been transplanted from the new — and larger — Audi Q7 introduced last year, and a few design cues have been added to modernize the overall aesthetic, but don’t expect wholesale changes. This Q5’s look has been refined rather than redesigned, adhering to the if-it-ain’t-broke mantra. 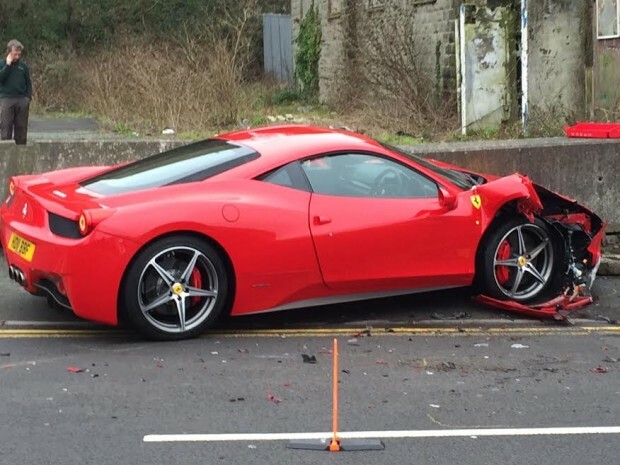 Such is life in the land of Quattro and incremental change. It has also grown, however slightly, compared to the first-generation Q5, but a sprinkling of aluminum to go with its steel structure has helped Audi’s midsize crossover shed as much as 110 lb (50 kg) in North American models, while some global models drop almost 200 lb (90 kg). The added dimensions will jump out at few, if any, onlookers, but they do translate to expanded interior space. Behind the tailgate, cargo volume now sits at 21.5 cu-ft (610 liters), which is slightly more than the outgoing version, though the 2018 Q5’s 54.7 cu-ft (1,550 liters) of space with the rear seats folded is down marginally. Passengers in the back also benefit from a little more legroom. This shouldn’t be a big deal, although some out there will surely make it one. The plant in San José Chiapa, Mexico, Audi’s first in North America, will crank out Q5s for markets around the globe, including right here in the U.S. and Canada, to the tune of 150,000 units annually. Fit and finish in the 2018 Q5 seems just as good as anything Audi builds elsewhere, with virtually no inconsistencies of note in any of the half-dozen versions we tested in — you guessed it — Mexico. Perhaps most impressive of all was the lack of squeaks, creaks and rattles present during our run on a rut-filled dirt road, where speeds reached 50 mph (80 km/h). The omission of air suspension is a major disappointment — and one that was compounded by the fact that all of our testers in Mexico were fitted with the cushy setup. It builds on the adaptive dampers, which will be available in North America, to provide an impressive array of settings tailored equally to comfort and performance. Air suspension will, however, make it to market here by way of the pending Audi SQ5. The system uses separate air springs and shocks around back and integrated units up front, and positions the crossover 0.9 inches (23 millimeters) lower than the standard steel suspension setup, with a few other heights to choose from. When the drive selector is set to Dynamic mode, the body lowers another 0.6 in (15 mm), while the additional Off-road mode raises the Q5 by 1.8 in (46 mm) compared to the normal setting. The system can also make the switch between heights on its own, hunkering down into the Dynamic level at speeds faster than 75 mph (120 km/h). Likewise, the system will lower itself to the Allroad height, which is still 1 in (25 mm) higher than normal, when speeds break 22 mph (35 km/h) on the rough stuff when in Off-road mode. While the lack of air suspension is a downer, the 2018 Q5 will get Audi’s so-called Quattro Ultra all-wheel-drive system. First introduced earlier this year, Quattro Ultra isn’t just front-biased, but rather operates in front-wheel drive by default. This evolution of Audi’s famed all-wheel-drive system is aimed at striking a balance between improved traction and reduced fuel consumption — and Audi claims it works. 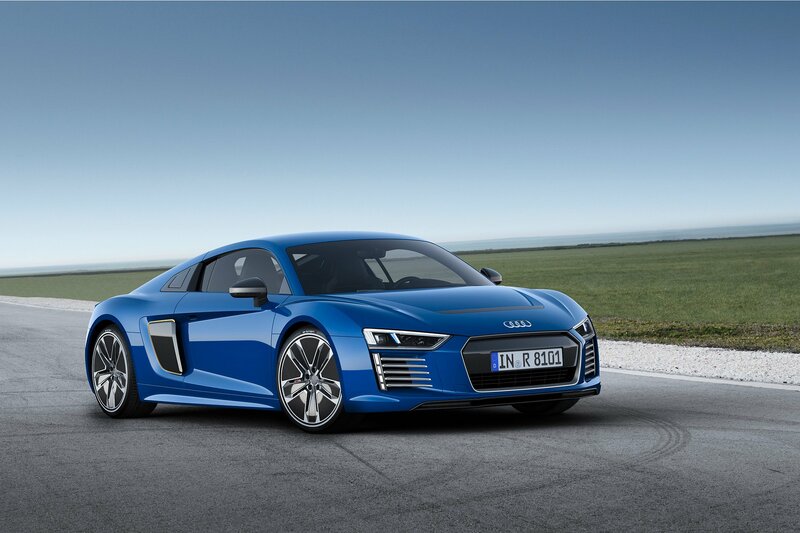 Internal testing found an average fuel consumption improvement of a little less than one mpg (0.3 L/100 km) compared to the same vehicle without Quattro Ultra, according to the automaker. That may not seem like much, and probably benefits Audi more so than the average consumer, but every little bit helps. 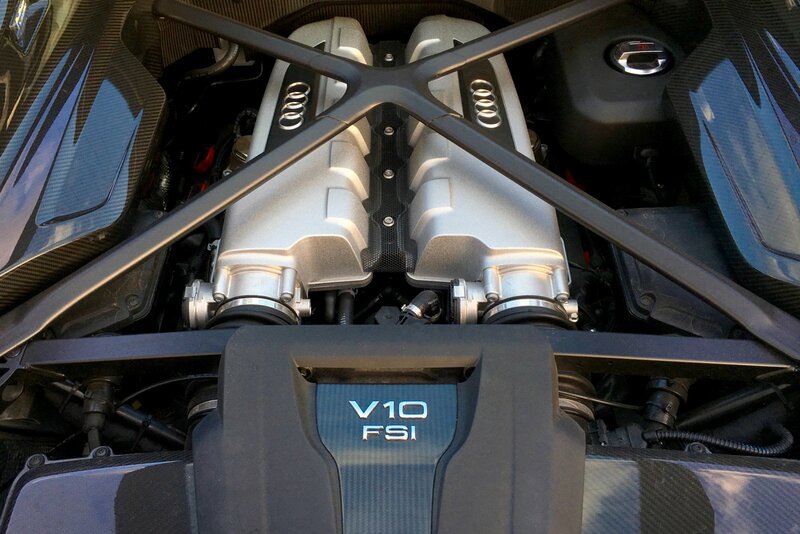 Audi says the system works in both predictive and reactive fashions, analyzing inputs like steeringangle, engine torque, acceleration and, of course, traction to decide whether power should be delivered to all four wheels, or just the front two. If the system justifies it, the Q5 will send 100 percent of its power to the front wheels by disengaging the front clutch, located at the transmission, and a second one fitted inside the rear differential. When additional traction is needed — say, when driving on sand or loose gravel, or accelerating hard through a corner — the clutches lock up and push power rearwards. But the key to the whole system is its imperceptibility, with Quattro Ultra making the transition between two- and four-wheel drive without the driver noticing, something it delivered on during our time behind thewheel. 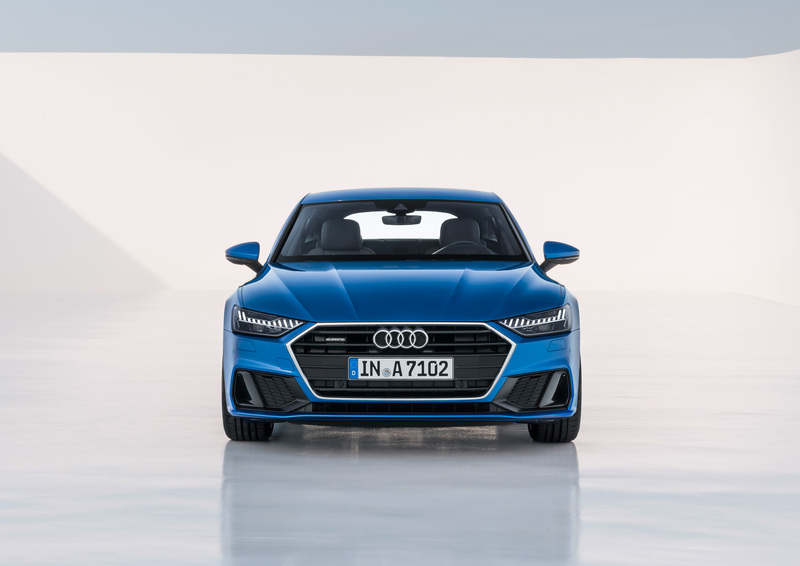 Audi has acknowledged that there’s still an appetite in North America for its diesel engines, but the Volkswagen Group’s emissions cheating scandal has scuttled almost all diesel dreams on this side of the Atlantic. Which, after driving both four- and six-cylinder diesel versions of the 2018 Q5, is a shame. With a diesel engine it’s not about power delivery — that’s a given, with plenty of low-end torque to aid in acceleration — but sustained power, something both TDI engines deliver in spades. No matter, though, because North American Q5s get power from the same 2.0-liter engine found in the current A4, as well as a whole host of other Volkswagen Group products. As solid an engine as any, the turbocharged four-cylinder makes 252 horsepower and 273 lb-ft of torque, and comes mated to a smooth-shifting seven-speed dual-clutch transmission. With more than enough power and reasonable fuel economy, it’s up to just about any task thrown its way.